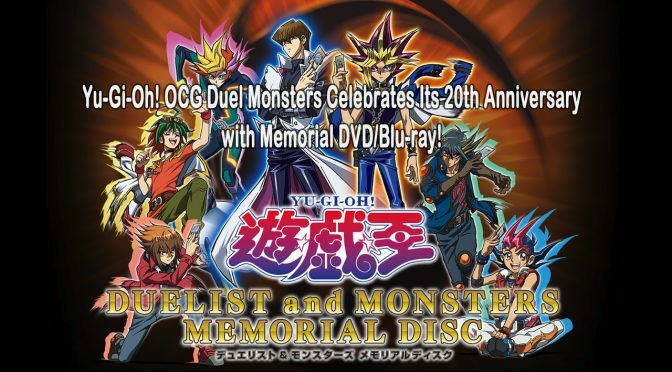 20th Anniversaryblu-raydvdKonaminew releaseOCGrelease datespecial editionYu-Gi-Oh! 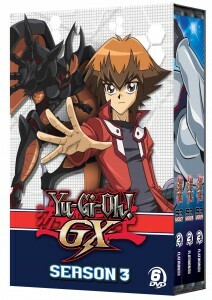 Recently listed on the Cinedigm website, Yu-Gi-Oh! GX: Season 3 DVD box set gets a street date of March 8, 2016 with pre-orders starting on Jan 26. Summary by Cinedigm: Jaden and his friends are officially upperclassman as they enter their third year at Duel Academy, the world?s most prestigious dueling prep school! To keep students at the top of their game, Chancellor Sheppard invites the infamous – and often feared – Professor Thelonious Viper to campus this year. Known for his strict and unconventional teaching methods, Viper forces Jaden and his friends to take part in a series of dangerous “Survival Duels” in which more is at risk than just their grades! New rivals, new monsters and a whole new season to Get Your Game On! It’s Yu-Gi-Oh! 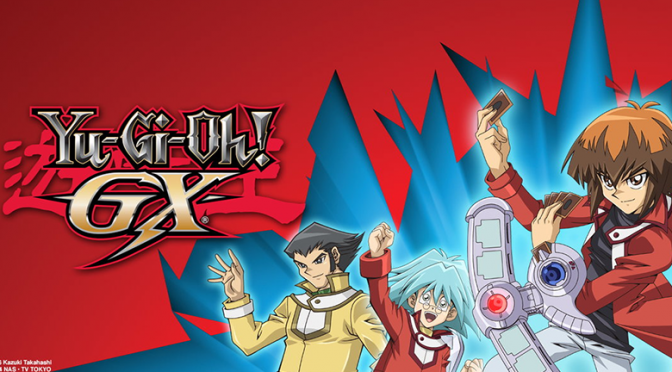 GX Season 3! The show has 180 episodes total. Cinedigm released season 1 with episodes 1-52 in October 2014, and then released season 2 in July 2015 with episodes 53-104.